The sky really is the limit when it comes to what our clients want. 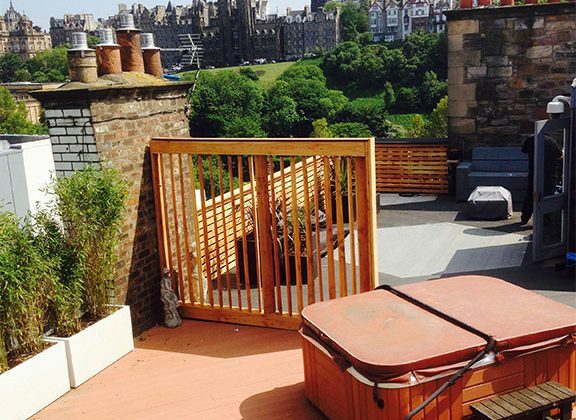 We had the privilege of designing and building a roof top terrace in the heart of Edinburgh the summer. Our client’s previously unused roof space was turned into an outdoor room with spectacular views over the Princes Street Gardens to Edinburgh Castle. The roof top is now a secluded idyll in the middle of the city, wonderful on a warm summer’s day and equally stunning at night with well thought out lighting and sound.